Yizhak Rabin Boulevard begins at Levy Street and ends at Shderot Hashmonaim at the junction of road 431. This street is split between the even numbers of Givat C and the odd numbers on the Buchman side. Yizhak Rabin is a busy Boulevard. There are beautiful parks, Junior schools religious and secular and a sports centre situated in the middle of the boulevard. This is where Buchman begins. Yizhak Rabin no1 is built by Muller. 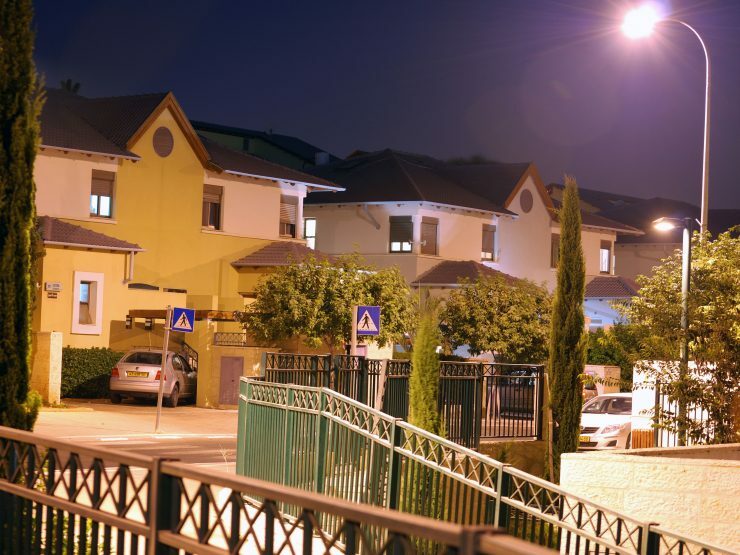 As you walk down the boulevard you pass Zilbbermintz apartments, cross Yehuda street and the Remet apartments are located oppositie Nitsanim school. The last project are the Zilbermintz appartments. There are no private houses in Rabin, only different types of apartments many spacious with large gardens. Levi Street is located between Shderot Yizhak Rabin and Shivtei Yisrael. Nafteli Street meets it in the middle. There are Nidar apartments in this street. The disadvantages of these properties are that they do not have elevators. As one of the largest private construction companies in Israel, the company spares no expense or effort in building the most exclusive projects. Levi Street is only a few minutes’ walk from Reut. Naftali Street meets Levi Street and crosses Shimon, Yosef and Binyamin Streets. It is a no through road after Binyamin Street. Developers include Solomon and Ouzan. The properties in Naftaly are apartment complexes including garden apartments and penthouses. All the complexes have a communal garden – park in the middle. Yehuda Street begins at Shivtei Yisrael and ends at no. 200 on the corner of Shderot Yizhak Rabin. Yosef, Yisachar and Reuven Streets meet Yehuda Street. Developers include Zilbermintz, Remet, Kaf Alef, Malibu,and Euro Israel. The Kaf Alef are single houses, many with large basements. One of them is a double house and very large. Yehuda is quite a busy street but has got much quieter since heavy trucks heading for South Buchman have been rerouted. Yosef Street connects between Yehuda Street and Ester Hamalka and Shivtei Yisrael. Streets that meet Yosef are Dan street and Naftali Street. Yosef Street is regarded as one of the most prestigious streets in Buchman. The kablanim who built in this street are Sarfaty and Dankner. The houses are large and all have big gardens. Houses are semidetached but are very expensive, especially the highly sort after and colourful Sarfaty houses. Shimon Street starts at Naftali Street and ends at Dan Street. The developers in this street include Zilbermintz, Muller, Nidar and the smaller Sarfati semidetached cottages. 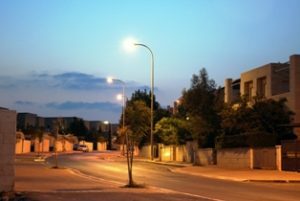 There is a shul and kindergarden at the Dan end and a beautiful park in the middle which drops towards Yizhak Rabin, and holds a beautiful view over Givat C. This is a quiet street and very well-liked by its residents. Binyamin Street begins at Naftali Street and ends at Dan Street. Kablanim are Dankner and Malibu. There are the large semidetached houses of Dankner and the Duplexes of Malibu. This is a very quiet and sort after street in North Buchman. Yissachar Street connects to Yehuda Street and Asher Street and crosses Reuven Street. Developers include Palasim, Bonei Hatichon and army houses. There is a small shopping centre. Yisacher is considered a very popular street to live in. Reuven Street is situated off Yehuda Street, crosses Yisachar Street and ends in a cul de sac by Shivtei Yisrael.. There is a religious senior school and shul on the corner of the Yehuda Street end. 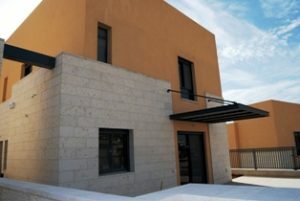 The kablan is Neot Atidim who builds for members of the Israeli security services. Reuven is partly now a one way street entering from Yehuda Street. Esther Hamalka Street is located at the end of Yosef Street. It is the “gateway” to South Buchman.Developers in this street include Dona, Mishav, Aviv, Sarfaty and Shlomo Cohen. Roads that connect to Ester Hamalka are Efrayim and Sara Imenu. Most houses in this street are semidetached. Sara Imenu Street is located between Lea Imenu and Ester Hamalka. Streets that connect are Rivka Imenu, Shlomzion Hamalka, Miriam Hashmonait and Yael Hagibora. Property developers on this street include Shapir, Dimri, Sharbat, Euro Israel, Iliya, and Ouzan. This street still has a lot of development to take place as of fall 2008 and still has the feeling of a building site.The street is a mixture of cottages, apartments and meduragim. Yael Hagibura Street cuts its way through Sara Imeinu Street and is a no through road at each end. Kablanim include Sarfaty, Ouzan, Avisror and Shlomo Cohen. A school is planned to be built at the Eli Cohen end. The Ouzan villas are very spacious inside and this street is possibly the most prestigious street in South Buchman. Shlomzion Hamalka is a “Dutch” street and begins at Miriam Hashmonait and is a no through road at the Sara Imeinu side. Developers are Dimri and Ilya. Dimri built duplexes and garden homes, and Ilya built garden apartments and Penthouses. This is a very popular and quiet street. Menashe Street connects with Efraim Street. Kablanim are Shlomo Cohen and Mordechai Aviv. Efraim Street intersects Ester Hamalka Street and Eli Cohen Street. It still needs to be developed. Miriam Hashmonait Street intersects Sara Imeinu and connects to Eli Cohen Street and Rachel Imeinu Street. Developers in this street include Avisror, Ouzan and Ilya. Both ends of the street are no through roads. Gad Street is located off Efraim Street and is behind Menashe Street. Houses were built by Shlomo Cohen. Rachel Imeinu Street connects to Miriam Hashmonait Street at one end and Rivka Imeinu Street at the other. Kablanim include Shapir, Macluf, Euro Israel, Yahalom Peretz and Beit Yair. Rivka Imeinu Street connects to Sara Imeinu at one end and Lea Imeinu at the other. It meets Rachel Imeinu by the “skate park” Developers are army project and Chaim Zakan.